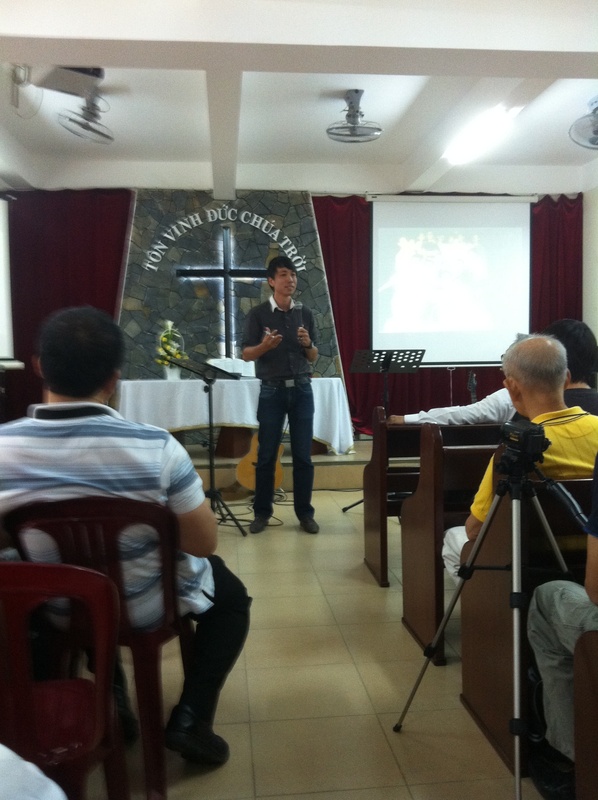 This year’s Easter I had the privilege to share my life story at the International Christian Fellowship of Ho Chi Minh City, Vietnam. Like all my previous sharing, the focal point of my testimony has always been about my experience with God’s love and His transforming power. However, every sharing takes on a different dimension. And I’ve noticed that my testimony (and including myself) has been undergoing a ‘pruning’ process. In fact, I suspect God is preparing me for greater things ahead especially with my project that I’m embarking on. In the meantime, here’s wishing everyone a Happy Easter! Christ is risen! He IS the life and the resurrection! And I’m going to live my life with His power!